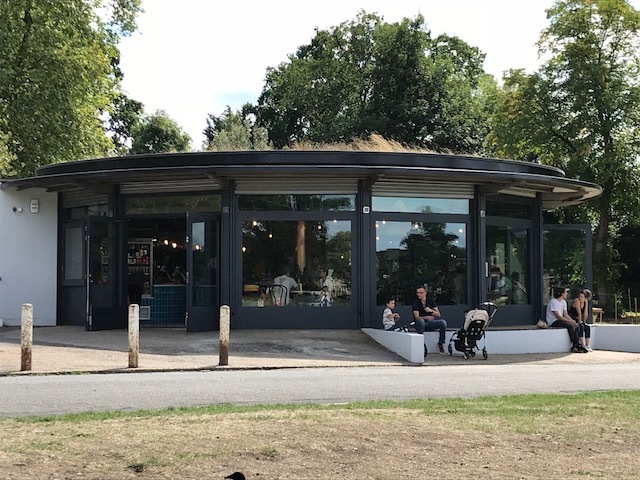 This opened on the Common in July 2018 and has proved extremely popular. It is open normal park opening hours, as is the smaller old children’s playground within the Park. The adjacent playroom (previously the one o’clock club) is open term time only on Tuesday 1.15-3pm and on Thursday 1.15-3.30pm. Resistance based outdoor gym - powered by the gym users themselves. A range of Cardio, toning and warm up/warm down equipment: a double station cross trainer, a fitness bike, a ski machine, a double station leg press, a combi lat pull down and chest press, a double station abdominal bench, pull up bars and dip bars. This skate park is the standard, council built funbox flanked by two quarter pipes set up. The obstacles are made of metal on a tarmac grounding and has a large flat area to skate right next to it with a 5 foot mini ramp as well. It is fine for warm-ups and practising. The park is a 15-20 minute walk from East Dulwich (Southeastern), Peckham Rye (Overground/Southeastern), Nunhead (Southeastern) and Honor Oak (Overground/Southeastern) Stations. Car Park accessible from Strakers Road on the East side of Peckham Rye.